Whenever a service we use gets bought by another company, we're always filled with hope and anxiety over its fate. It could either be a case of growth and improvements or a slow dwindling descent into irrelevance. I'm afraid Allthecooks may start falling into the latter category if its new owners don't react swiftly to the criticism of their most loyal users. 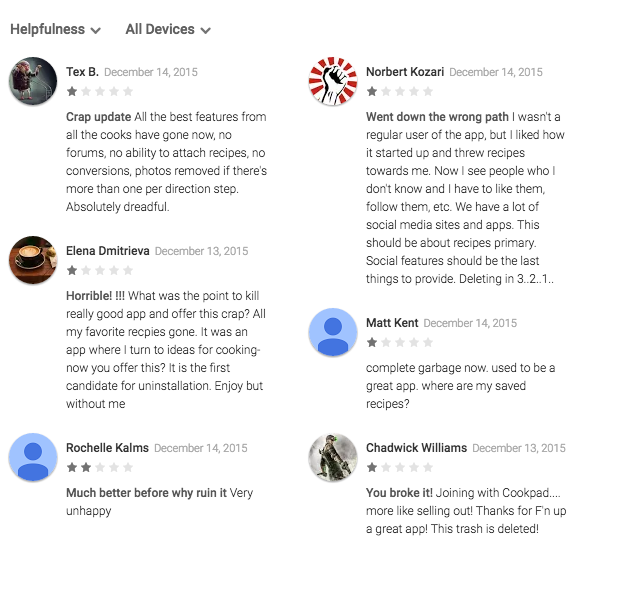 Allthecooks has long been among the most beautiful and capable recipe and cookbook apps on Android. 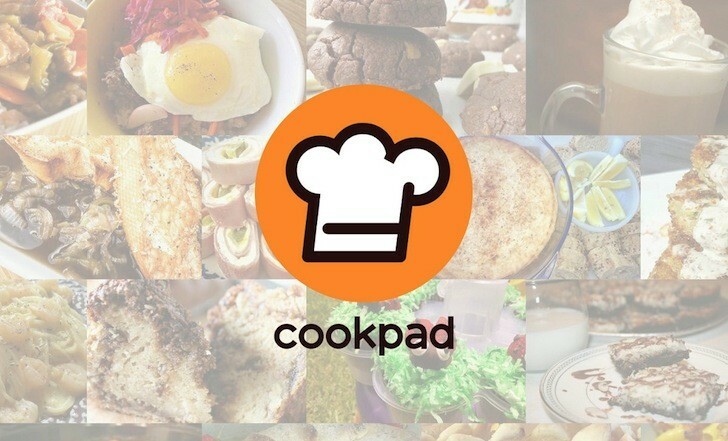 It got acquired by the Japanese-born Cookpad service toward the end of 2013 and since then, it got an interface redesign and a name change to Cookpad Recipes, but almost everything else remained the same up until a few days ago. The merger has been completed and Allthecooks, as you know and love it, is gone. In its place, you will find the Cookpad app (whose Play Store listing has been retired) in what was previously Allthecooks' page. In a short post on Medium, Allthecooks explained that recipe authors and viewers can log in to Cookpad with the same account as Allthecooks, and all of their recipes and bookmarks will be there. 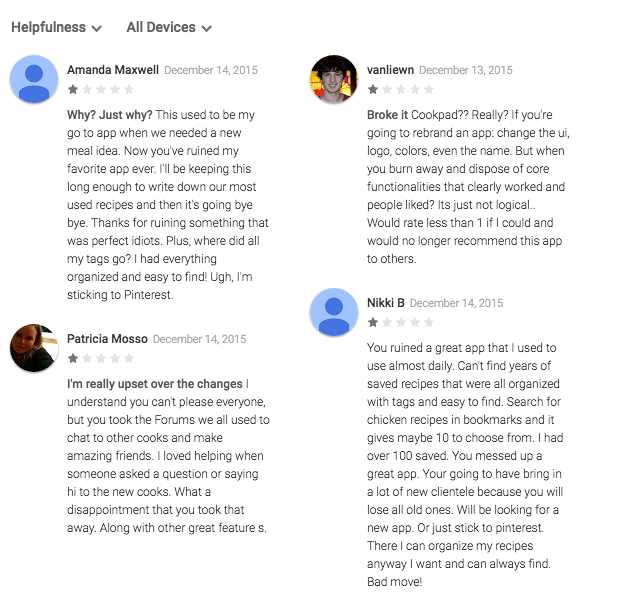 However, it's an entirely different story in the Play Store's comments. 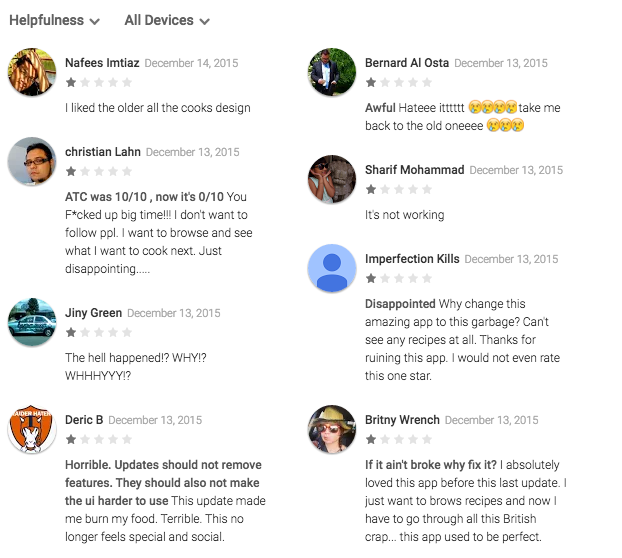 The update has left a sour taste in users' mouth and they're unanimously furious. The app's feature list has gone on a crazy restrictive diet. Gone is the option to browse new and trending recipes, you'll have to follow cooks first in order to see recipes in your feed. Tags and sorting for your recipes are nowhere to be found either, so is the forum where cooks chatted about their culinary ideas (without any notice so they can keep in touch via another method), the organization by categories, the easy conversion to the metric system, the ingredient search, and the visual cue to see how many cooks favorited a recipe. Even worse, the meal planner, timer, and shopping list are MIA. Some have also lost their bookmarks and saved recipes and can't seem to get them back. In a nutshell, everything that was the bread and butter of Allthecooks is gone and you're left with a half-baked attempt at a replacement app. 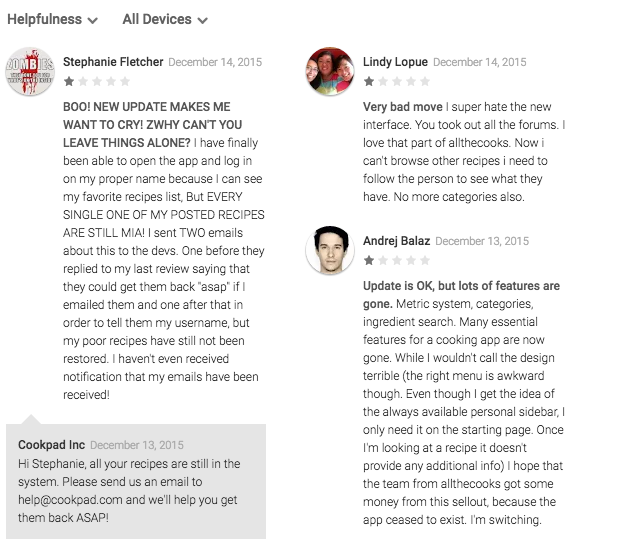 Cookpad has been replying to some of the scorned Play Store users, explaining that this app is a fresh start, offering some assistance to users who can't find their recipes and likes, and basically just promising to improve the new app and asking for feedback over email. However, there's no clear timeline or confirmation as to whether many of the features will ever return. 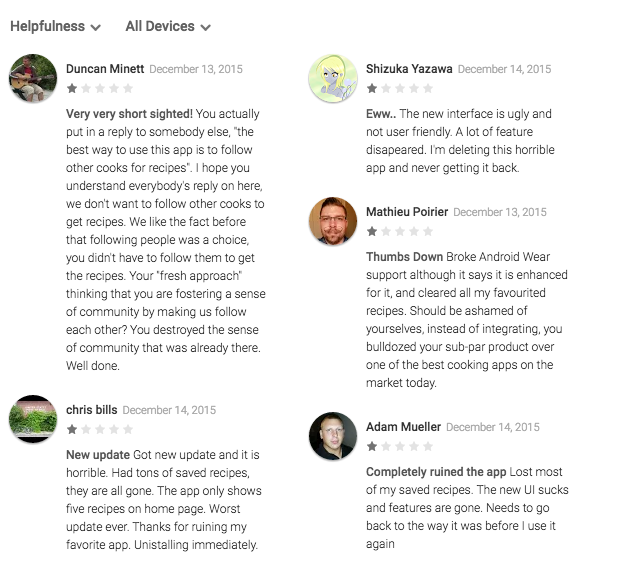 It's the wurst day for food lovers and cooks as another app bites the crust on Android.